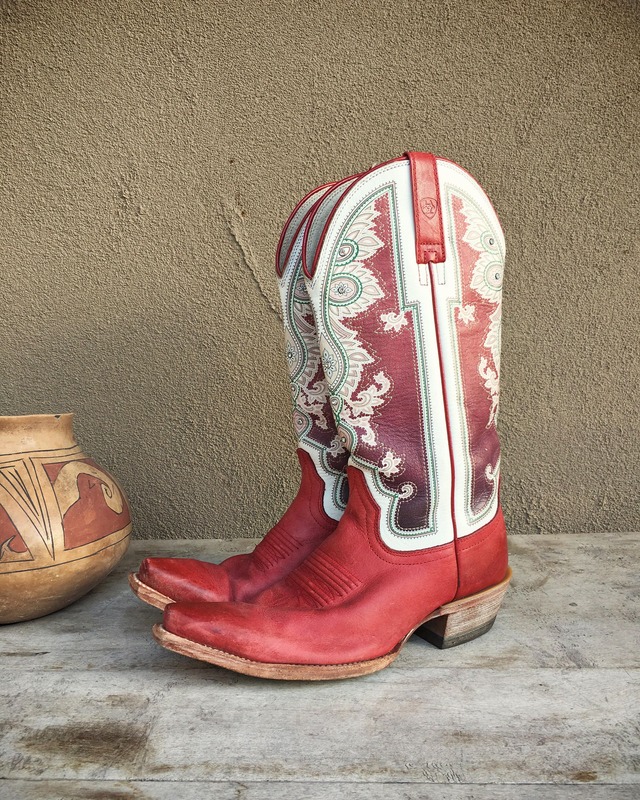 These Made in Mexico red and white Ariats have a flashy look that screams "Mexico!" 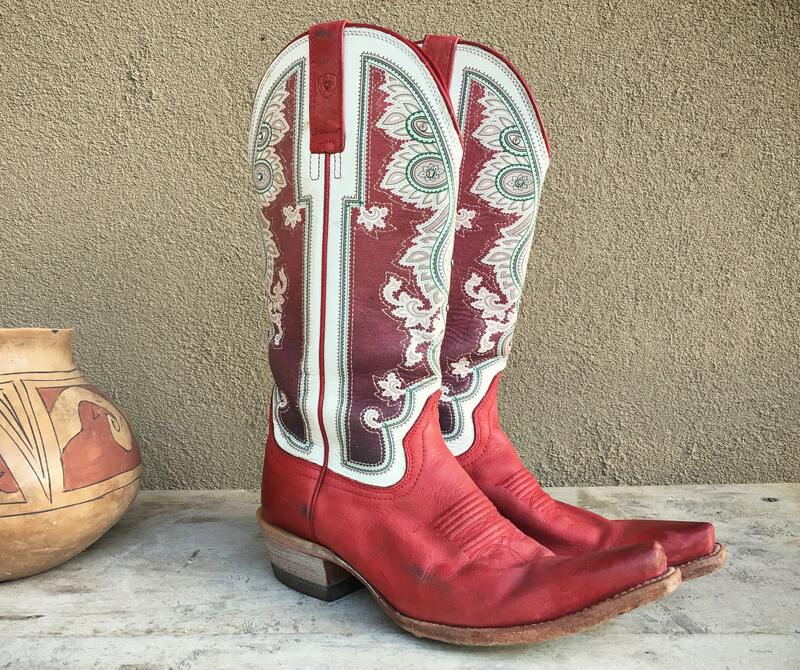 The perfect Fourth of July boot, or red and white barn wedding boot, this pair was well used yet has a lot more miles to go. 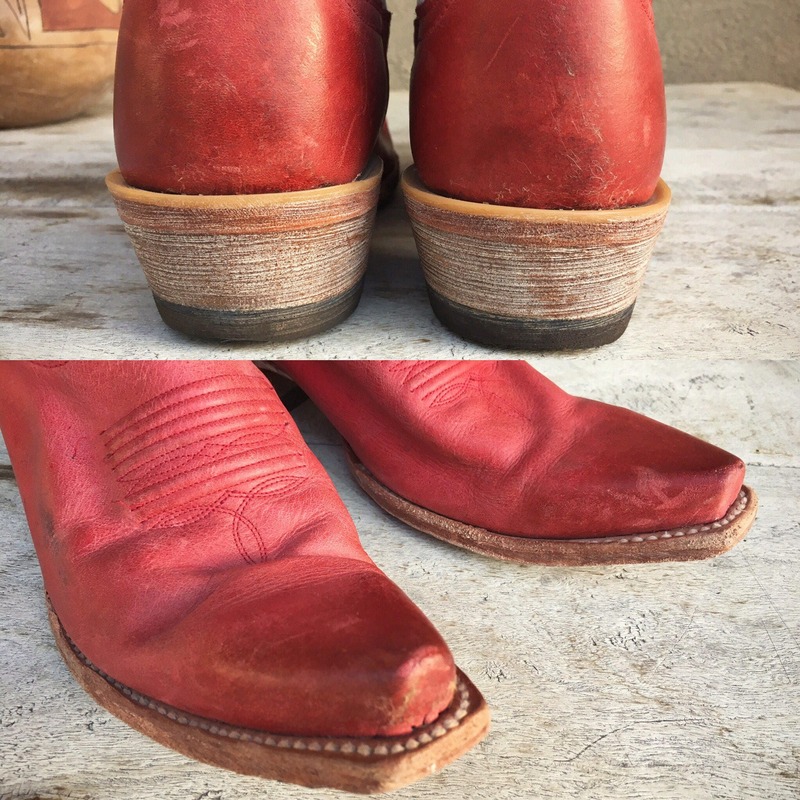 The boots are bench made, and new they would have cost about $250. 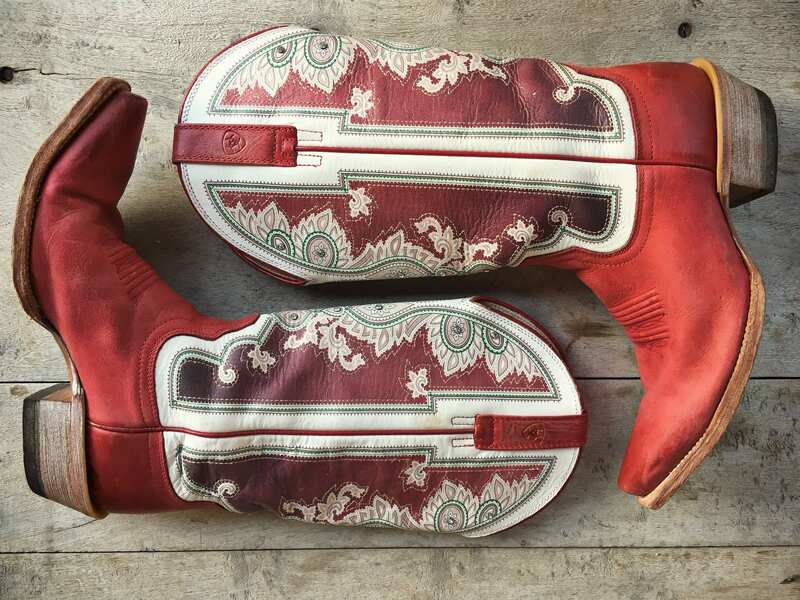 With their snip toe and uppers screen printed and small rhinestones added on, you'd be hard pressed to find these any longer. The colors have a faded, vintage look, which I like--the red has just the slightest hint of pink to it. The boots are slightly stiff but otherwise in good condition. For getting your red on. 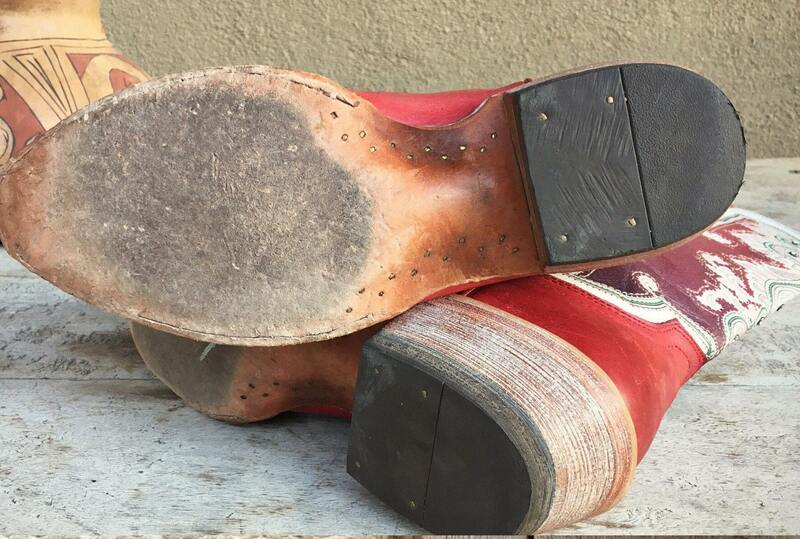 Sole, across ball of foot: just over 3-3/4"
Shaft, down back from top of the heel (not ground) to the top of the leather upper: 9-3/4"
Side seam, from the top of the heel (not ground) to the top of the leather strap: just about 13"
Love them! Very fast delivery!